23_chief justice sk sinha_290516_0002.jpgবিদেশি বিনিয়োগের সঙ্গে আইনের শাসনের সম্পর্ক তুলে ধরে তিনি বলেন, “যে বিদেশ থেকে এখানে আসবে বিনিয়োগ করতে, সে প্রথমে দেখবেই এ দেশে আইনের শাসন কী রকম, এই দেশে আমি যে টাকা বিনিয়োগ করব, এটা তুলে নিতে নিশ্চয়তা আছে কি না? “এ দেশে যে মামলাগুলো আছে, সেগুলো দ্রুত নিষ্পত্তি হচ্ছে কি না? কারণ আমি যদি মামলাতে পড়ে যাই, আমার টাকাটা আটকে যাবে কি না? Irene Zubaida Khan is a British Bangladeshi human rights activist who has been based in the United Kingdom. She was the seventh Secretary General of Amnesty International until her resignation on 31 December 2009. মেধা নাকি যৌন আবেদনে আসে খ্যাতি! একেবারে শীর্ষ অবশ্যই লেডি গাগা৷ গত বছরে তাঁর আয় ছিল ৮০ মিলিয়ন ডলার৷ হিট গান বিক্রি, ওয়ার্ল্ড ট্যুর আর বিভিন্ন পণ্যের মডেল হয়ে এই অর্থ আয় করেছেন লেডি গাগা৷ পরিমাণটা হয়ত আরও বাড়তে পারতো যদি না ইনজুরির কারণে কয়েকটি ট্যুর বাতিল না করতেন৷ ঐ সময়টা তাঁকে তাঁর ২৪ ক্যারেট সোনা দিয়ে তৈরি হুইলচেয়ারে কাটাতে হয়েছে! প্রিয় পাঠক, আপনি কি মনে করেন? বাংলাদেশের বাণিজ্য সুবিধা কমাচ্ছে যুক্তরাষ্ট্র? WASHINGTON (Reuters) – President Barack Obama could soon decide to cut off trade benefits for Bangladesh, in a largely symbolic response to tragedies in the country’s garment sector that have cost more than 1,200 lives in the past eight months. The U.S. Trade Representative’s office, with input from other government agencies, is completing its recommendations in preparation for a White House announcement by June 30. Even though the trade benefits affect less than 1 percent of Bangladeshi exports to the United States, its government has pleaded with the Obama administration not to cut them off. The AFL-CIO, the largest U.S. labor organization, first filed a petition to suspend Bangladesh from the U.S. Generalized System of Preferences program in 2007. The U.S. government has put off that decision for six years, hoping the threat would be enough to encourage Bangladesh to make long-needed labor reforms. 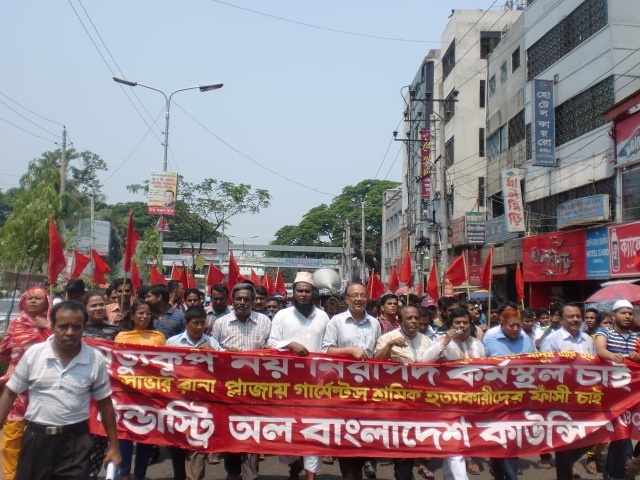 But after the Tazreen factory fire in November that killed 112 people and the Rana Plaza building collapse in April that killed 1,129 more, it seems likely that Obama will eliminate or reduce the trade benefits, Celeste Drake, the AFL-CIO’s lead on trade issues, told Reuters this week. The past year in Bangladesh has been so horrendous that unless the United States acts the labor provisions of the GSP program will be seen as meaningless, she said. The GSP program is aimed at helping create jobs in poor countries by waiving U.S. duties on thousands of goods as long as the countries meet certain eligibility requirements. Bangladesh has been in the program since it began in 1976. 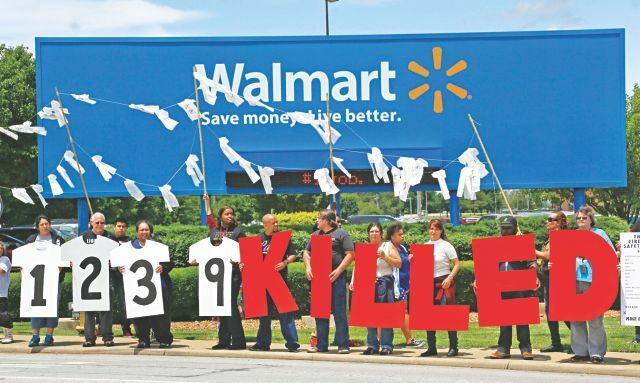 But its main export, clothing, is not eligible for GSP tariff cuts, in deference to the U.S. textile and apparel industry, which employed some 2.4 million workers four decades ago compared to less than 300,000 now. Last year, the GSP program spared Bangladesh about $2 million in duties on $35 million worth of tents, golf equipment, plates and other items it exported to the United States, said Ed Gresser, a trade analyst with the GlobalWorks Foundation. 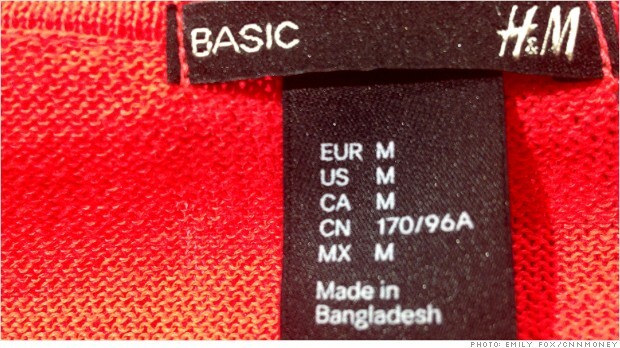 But Bangladesh paid about $732 million in duties on $4.9 billion worth of clothing to the United States. That is almost twice as much as the $383 million in U.S. tariffs collected on $41 billion worth of French goods in 2012, Gresser said. In the past, some lawmakers have proposed changing the GSP program to provide duty-free benefits for clothing from Bangladesh and Cambodia, but U.S. textile manufacturers lobbied to prevent action on the legislation. At least 13 countries have lost some or all of their GSP benefits since workers rights protections were added to the eligibility criteria in the 1980s. Most have been reinstated after making progress on the concerns. 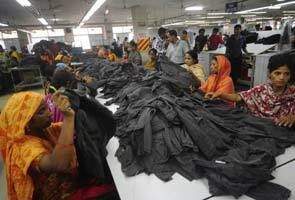 While Bangladeshi clothing manufacturers would not be directly affected by a decision to suspend the GSP program, Drake said she expected other Bangladeshi companies hit with increased duties to join the international community in lobbying the government for labor reforms. 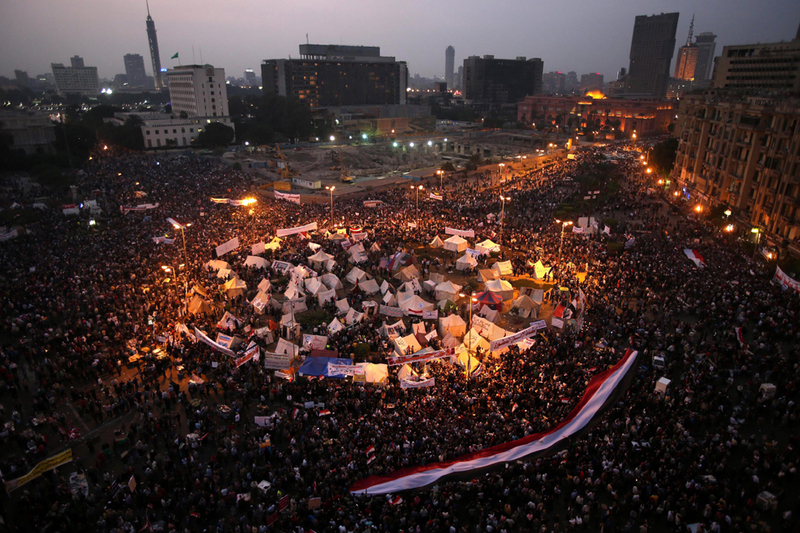 “It’s a small stick, which is perhaps right, given that it is a developing country. Nobody wants to do something that would be an earthquake to their economy,” Drake said. Sanchita Saxena, associate director of the Center for South Asia Studies at the University of California at Berkeley, said revoking Bangladesh’s GSP benefits would not help workers in Bangladesh’s garment industry. “If the U.S. wants to help improve conditions, international brands and international NGOs can help in building capacity to monitor the thousands of factories that need monitoring and help to enforce some of the laws that are in the books,” she said. U.S. retailers should also sign an agreement embraced by European retailers to improve safety conditions in Bangladesh’s garment industry, Saxena said.